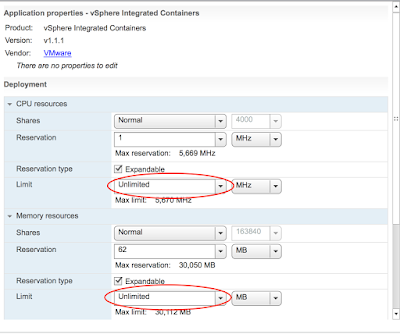 I'm back to finish the post series about resource management within vSphere Integrated Containers, last one I discussed what happens to Virtual Container Host when the limits are set too low, now let's dive in on what happens to your containers in similar situations, shall we ?!? To run these tests I set up an environment with two VCHs. The first question is, what happens when I create a container with more resources than what I’ve been entitled to (over the limits of your VCH). ? On the VCH with limits, I’ll create a busybox container assigned with 2vCPU (each vCPU get 1.8GHz) and 4GB of RAM. As you could see above, the container has been created successfully, without providing any message or warning. So the inevitable question, how the containers will perform in such scenario? First I want to test the impact on CPU utilization, running a cpu stress on 1 vCPU during 5 minutes. 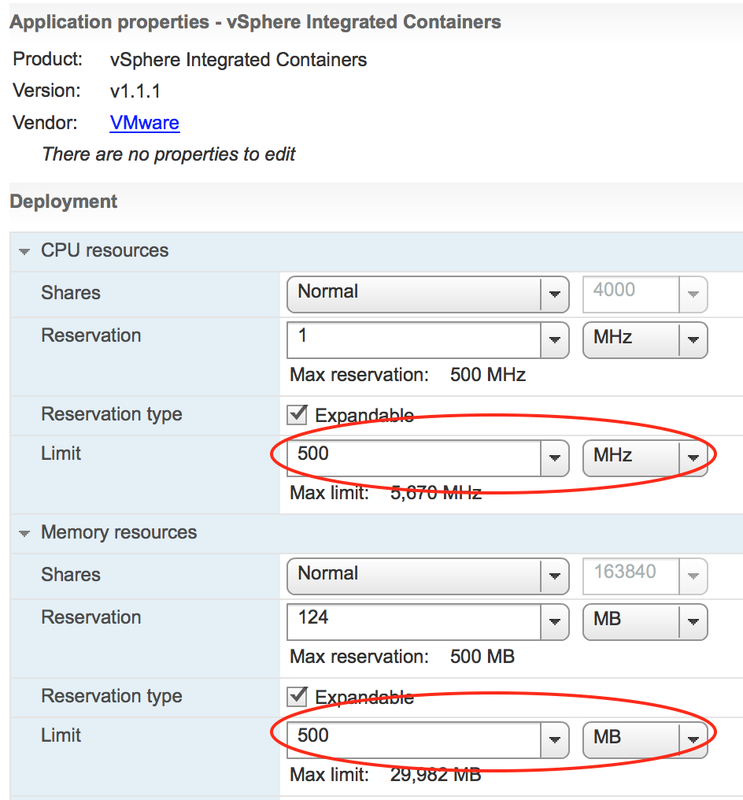 Since containers in VIC are represented by VMs, vSphere specific monitoring tools, like vROps, are perfect to monitor the performance of them. In this case, I used the built-in vCenter performance chart. We can notice that it’s Entitlement is less than VCH CPU limitation. The stress test Demand is higher than the Entitlement, that’s why there’s an insane Ready time, meaning the process is ready to run but it's waiting to be scheduled by the ESXi host. Whatever your container is running, will take a long time to conclude. As we can see, the Demand was lower than what the container is Entitle to, also Entitlement here is 5X higher than the previous test, Ready time is very low too. Meaning this container has no constraints at all. I ran this memory stress to consume 512MB during 5 minutes. As we can see on the graph, the container VM spent an average of 40% of it’s time waiting memory to be available (Latency metric), because the container VM cannot have access to host’s physical memory, imposed by VCH limits, we see a higher Balloning utilization, which is slow compared to physical memory access. We can see that the container VM could use all the memory available to him, and because there are no constraints, we see no Ballon activity or Latency metrics. 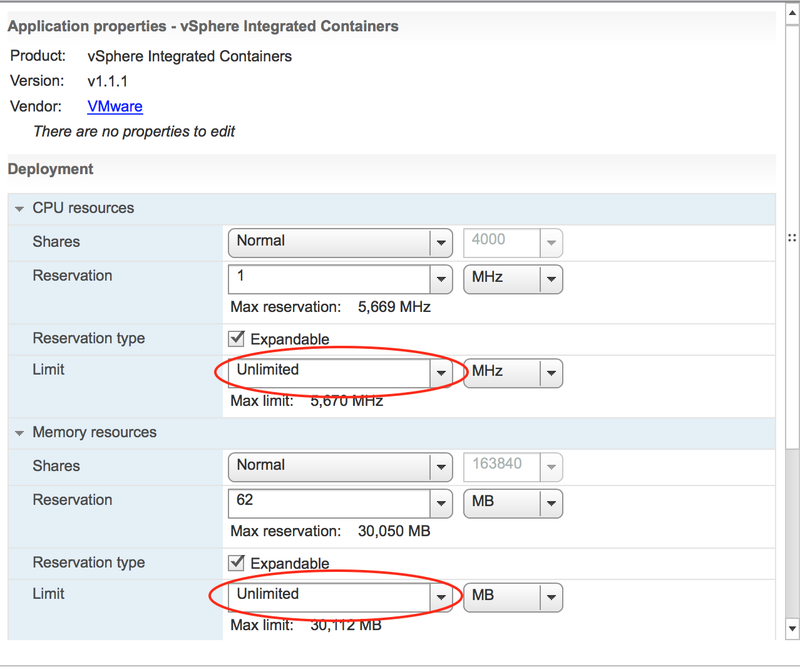 - If container Memory consumption is higher than VCH limits, ESXi host will prevent container VM access to physical memory and memory management technics will be utilized, like balloning and swapping. Either way, over CPU or Memory utilization, will decrease the performance of your container and application within. Monitoring and Capacity/Performance methodology are your friends, keep them close to you ! !